Item number A17027 from the MOA: University of British Columbia. 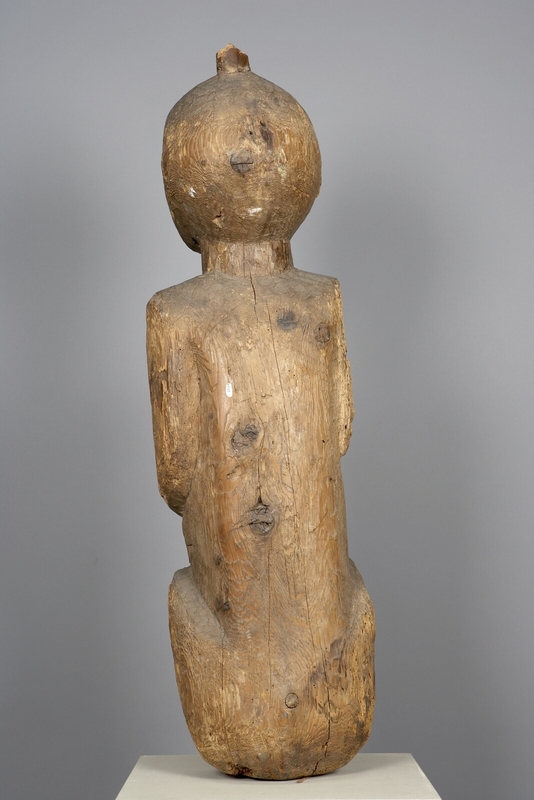 Carved wooden figure depicting a human figure with a rounded belly. A knob of wood projects at the top, rear, resembling a top-knot in appearance. Engraved facial features include eyes and a mouth depicting two rows of teeth. No limbs are attached. Possibly may have once stood as a grave figure? 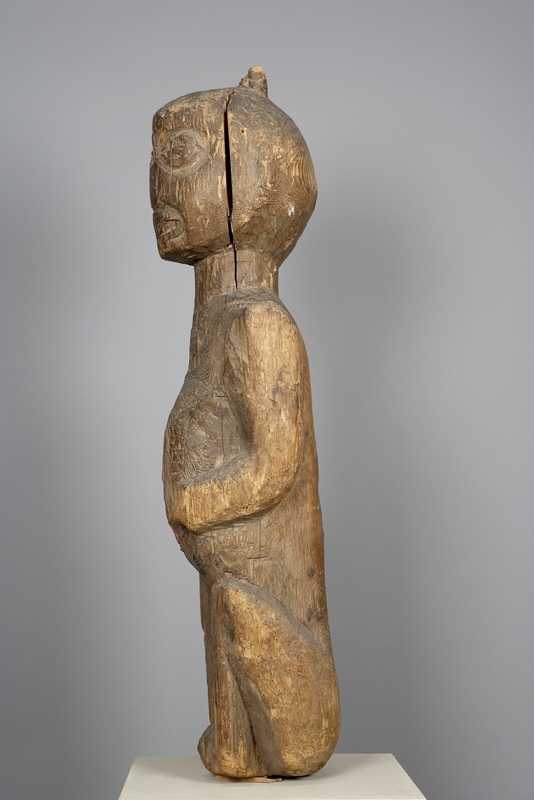 The provenance of the figure, before entering the Raley collection, is unknown. 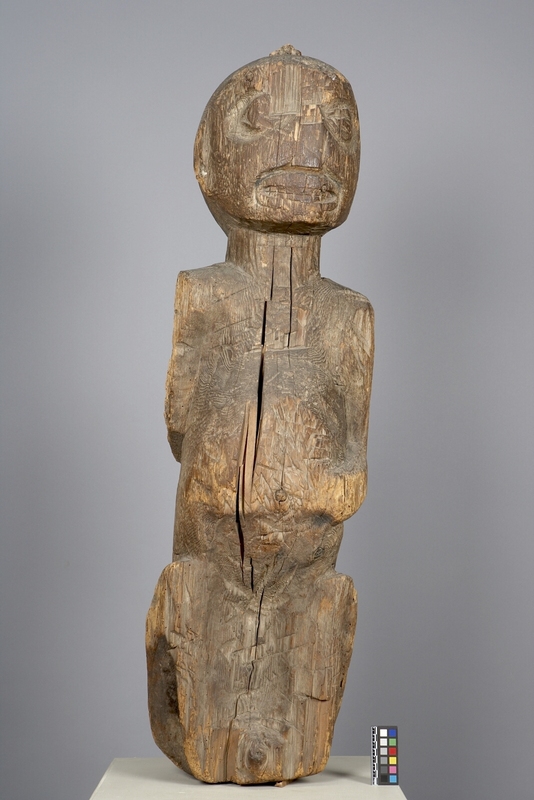 Stylistically it seems to vary from other known examples of Coast Salish sculpture, most notably in the facial features. The shape of the mouth and the absence of the triangular nose, commonly seen on Coast Salish sculpture, are the most ambiguous details. 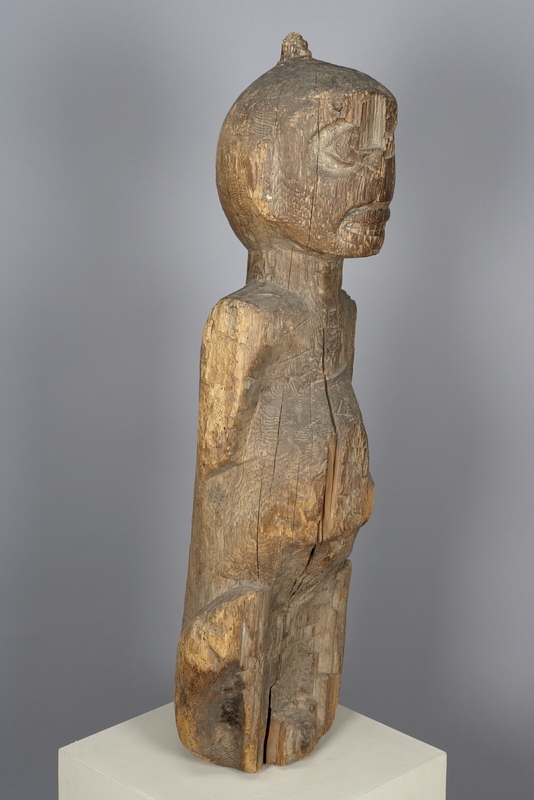 However, the shape of the body seems consistent with Wingert's description of Coast Salish grave figures. He notes that these types of figures: "have long oval heads, thin columnar necks, and sloping shoulders. [They] also have tapering torsos, well marked groin lines, and similarly carved hands and fingers... [Facial features have] individualistic details [such as] high pointed nose and deep creases at the sides of the mouth and higher forehead and long broken nose (1949:42)."